Kristin Tully, PhD, of the Carolina Global Breastfeeding Institute (CGBI), has been recognized with the Improving Human Health Award, presented by the North Carolina Translational & Clinical Sciences Institute (NC TraCS) at the University of North Carolina at Chapel Hill. 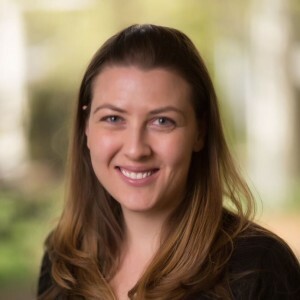 Tully is a research associate in the Department of Maternal and Child Health at the UNC Gillings School of Global Public Health. She also is the project manager of two federally funded research studies on infant sleep development (through the Center for Developmental Science) and a Patient-Centered Outcomes Research Institute Engagement Award on unmet maternal health needs (through the UNC Center for Maternal and Infant Health and CGBI). Tully received the award in support of a project that will design and develop infant side-car bassinets for use in United States hospital postnatal units.